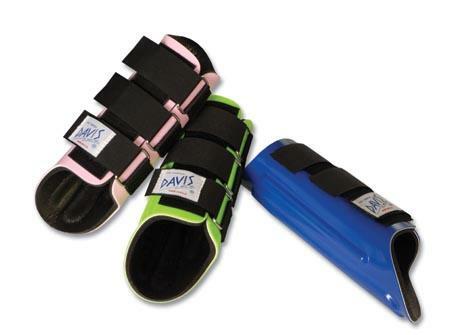 Horse Splint Boots Black 'Davis"
The Splint Boots are designed to absorb hoof concussion and shock. 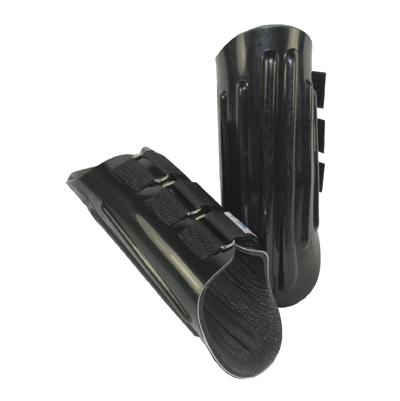 The patented Shock Absorption Tubes (U.S. patent #5,307,521) provide exceptional protection while allowing the boot to easily contour the horses leg. The stay-put interior cushion stays snug and resists slipping out of place. 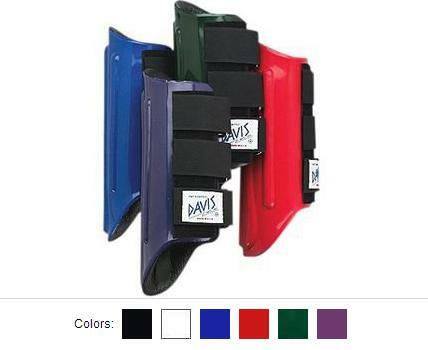 The boots gently cradle tendons and ligaments. Three hook and loop closure.